Few types of plants have seen the rise to stardom that the Calibrachoa has. 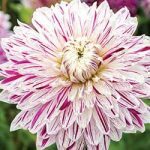 From the first plants trickling into the US market during the late 1980’s, to the first of the Japanese breeding which arrived as Million Bells® in the early 1990’s, things have exploded. They were such beautiful plants but, at first, they were fairly hard to grow. However one thing was certain, they did beautifully in hanging baskets and pots, although maybe not so much in the soil of the garden. As it turns out, container gardening was the future, making them the right plant at the right time. Over the course of the last 20-30 years, Calibrachoa came from Brazil to Japan, to Europe and America, and then into your garden. When you consider that most of our other garden flowers have been around since the early 1800’s or even the late 1700’s, Calibrachoa is still a bit of a “new kid on the block”. Calibrachoa originally came from Brazil, and a few other locations in Latin America, just like their “big brother” the Petunia. At one time, Calibrachoa was actually a part of the genus Petunia but was later validated as a separate genus. There are about 28 different kinds of wild Calibrachoa, similar to the number of different wild petunia varieties (about 21), but Calibrachoa has a much broader range of colors and are capable of generating a more complex mix of colors than petunias. While many people refer to Calibrachoa as “mini-petunias” they are not really the same. Calibrachoa’s native territory is cliff edges and rocky scree; from this, they bring some drought tolerance and preference for well-drained soils. Fast forward to present times where the problems that made Calibrachoa finicky have been resolved. 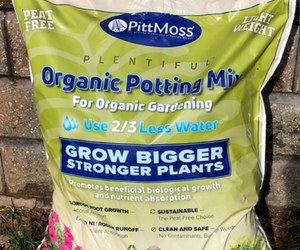 They are now more tolerant of a wider variety of soils and environments, though it is still a plant better suited for containers than most garden soils. Even with all the improvements, high pH or alkaline soils can be a problem. Calibrachoa has become much easier to grow and has slowly developed into one of the most popular annual flowers sold each year. The thing that really makes Calibrachoa stand out on the garden center shelf is the incredible colors that are available. Every color of the rainbow appears in small jewel-like flowers, but that is only the beginning! You can have a dark eye in every flower, or if you prefer a bright yellow eye, you can choose a bright yellow star pattern radiating from the center of each bloom, striped blooms, or you can have single or double flowers. There is an amazing palate of colors available in every tone. Some colors will even change based on the temperature, deepening as it gets cooler, or fading as it gets warmer. Calibrachoa is really like the orchid of the bedding plants, the closer you look into each flower the more intricate the colors become. If you want to try your hand at growing from seed, it can be fairly easy. 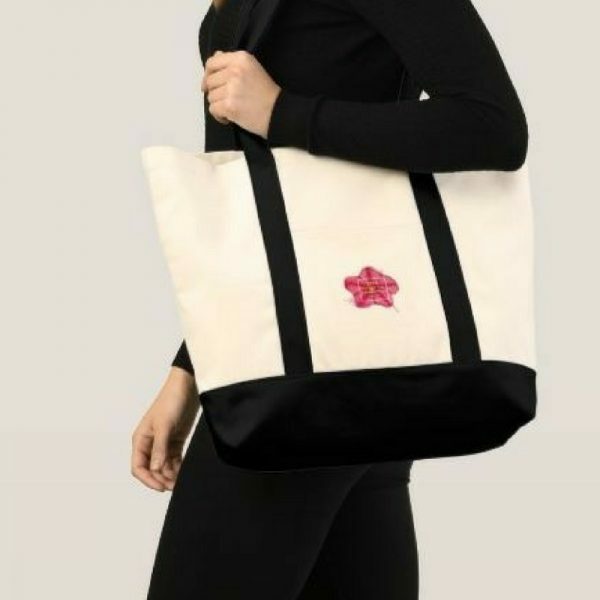 There is one seed series that comes in several colors called Kabloom®. (All other Calibrachoas are grown from cuttings.) Sow the seed indoors 8 weeks before the last frost, don’t cover the seed with soil, just press the seed lightly into the potting soil. The seed likes light to germinate so make sure to keep them where they get a full day’s sunlight. For the fastest germination keep soil temperature around 70-75 degrees. Seedlings will begin to sprout in about 10-14 days. It takes about 8-10 weeks to raise full-grown plants, so plan accordingly. Growing Calibrachoa requires full sun, at least 6 hours of direct sun each day, more if possible. A well-drained soil, like most potting soils, is fine. Avoid heavy, cold, clay-based soils as they smother the roots. Other than that, a balanced acidic plant fertilizer applied regularly will give the plant energy to produce thousands of flowers all season long. In general, Calibrachoas are outstanding performers in containers, but as with all plants, avoid severe dry down and wilting. When a plant wilts, it shuts down all growth and repeated wilting causes the plant to become woody and less vigorous. Restarting the growth and flowering can take weeks and sometimes, depending on how much stress the plant receives, it may never fully recover. Since this is true for all flowers, the best solution is always keeping the soil lightly moist and well fertilized. Gardeners might consider installing a drip system so that their plants are always receiving some water. The plant you buy at your local garden center should look just like the picture on the tag. There are still lots of different brands out there, so prepare for many choices when you go shopping. A few of the collection/series names are Superbells®, MiniFamous®, Cabaret®, Callie®, Million Bells®, Cruze®, Aloha Kona, Can-Can®, Noa™ and Calipetite®. If you are searching for plants for your pots next spring, just try Googling ‘Calibrachoa flowers’ and find out the names of your favorites, then call or message your local garden center to ask for the plants by name! Calibrachoas make such an amazing statement in your containers with their bright vivid colors, mixed with other flowers or all by themselves. They are easy to grow if you provide the basic conditions they need. Brilliant colors, fascinating streaks and stripes, eye-catching stars, and patterns that resemble the strokes of a brush are available. So, this year, the Year of the Calibrachoa, try Calibrachoa in your hanging baskets and patio containers and bring some beautiful floral works of art into your garden! 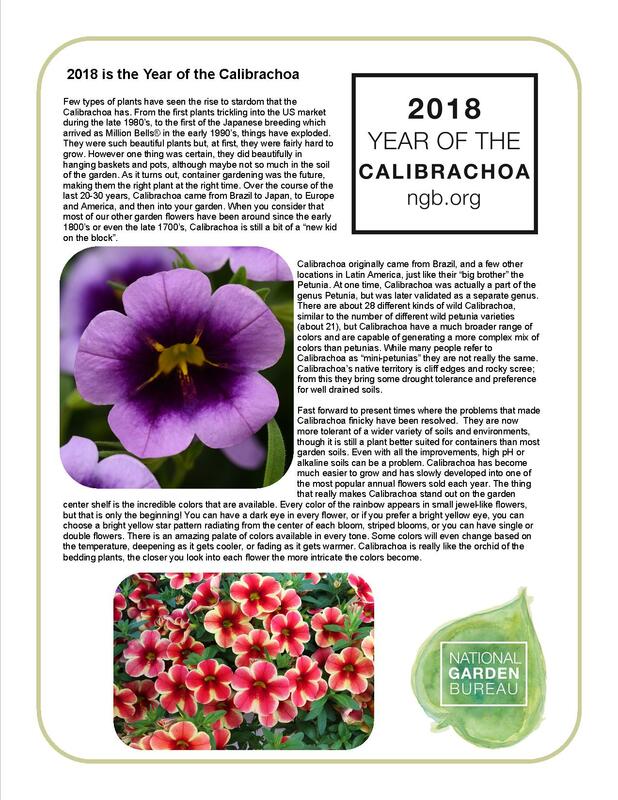 The National Garden Bureau recognizes and thanks, Rick Shoellhorn from Proven Winners as author and contributor to this fact sheet. Lots of Flowers All Summer Long! A profusion of cherry-pink flowers on an upright plant all season. Made from locally sourced paper products headed for the landfill and is engineered for optimal plant growth. 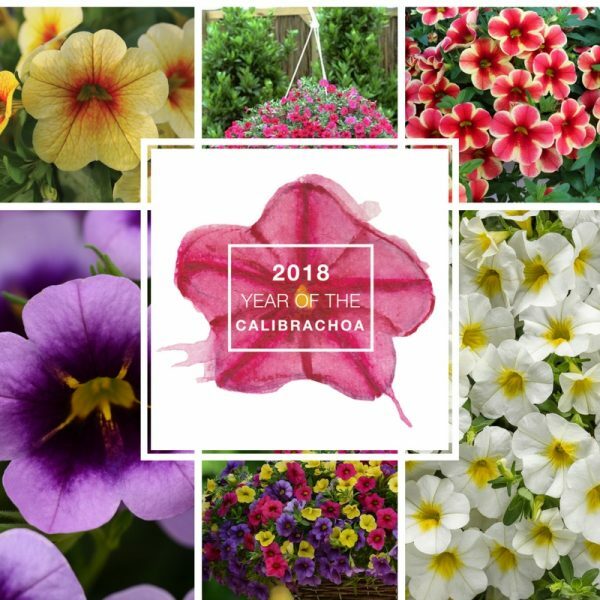 Download the Year of the Calibrachoa presentation on SlideShare. 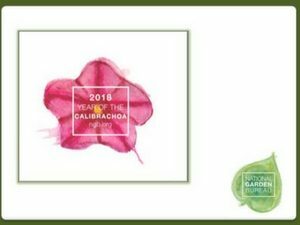 Celebrate the Year of the Calibrachoa with mugs, T-Shirts, tote bags and notecards and bring the beauty of this flower with you from our NGB Store. 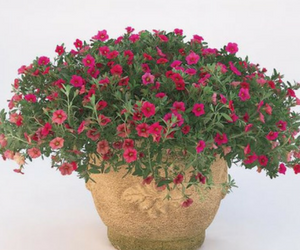 Lots of different styles & with a Year of the Calibrachoa flower on it…Yes! 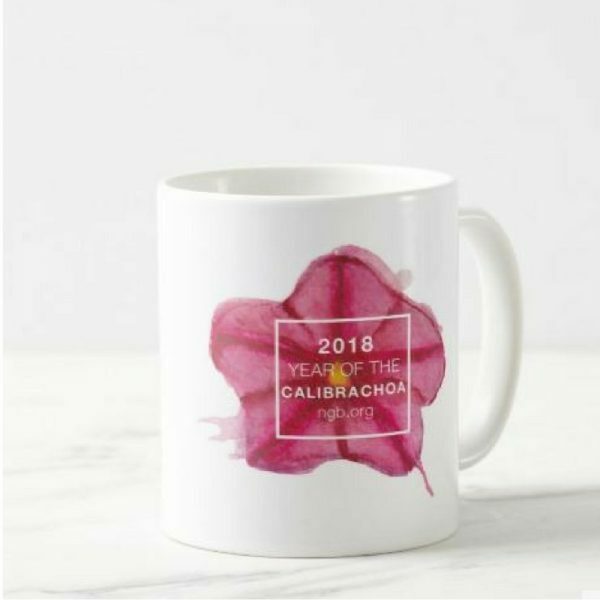 Always bring a calibrachoa with you with a Year of the Calibrachoa Mug! 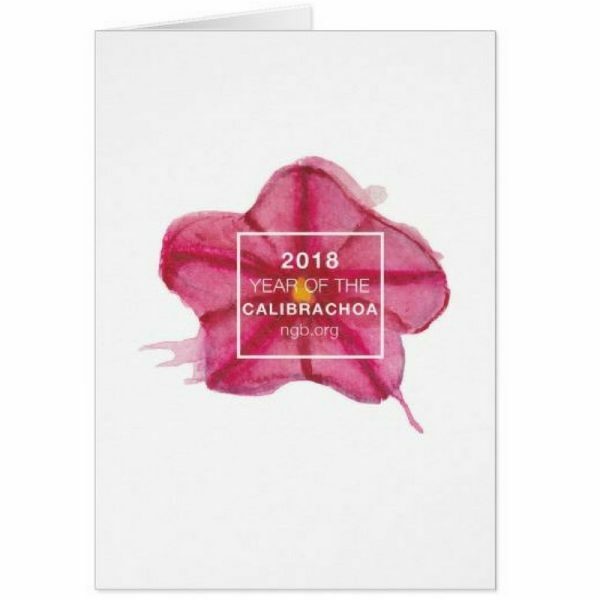 Send a bit of Calibrachoa love with Year of the Calibrachoa Notecards!